Baltimore City Community College (BCCC) is a comprehensive, degree-granting community college with one main campus and satellite locations throughout the city. 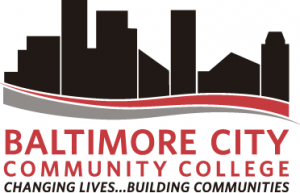 With its broad range of degree and certificate programs, affordable tuition, and extensive outreach, BCCC is an educational resource to all citizens of Baltimore City. By attending BCCC, students receive the quality education and training necessary to obtain good jobs; transfer to four-year institutions; upgrade skills; or acquire new ones to be competitive in the global marketplace. BCCC also offers continuing education programs such as General Educational Development (GED) to students seeking a High School Diploma. In addition, the College offers English as a Second Language (ESL) instruction to students wanting to strengthen their language skills and Adult Basic Education (ABE) to those students wanting to gain literacy skills.